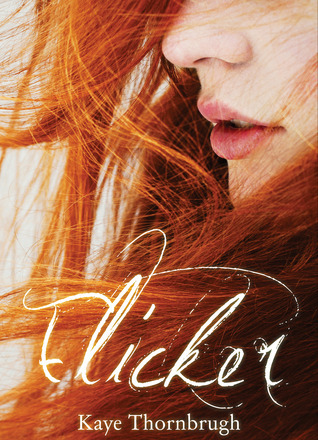 Be sure to enter the giveaway for one free digital copy of Flicker and a gorgeous bookmark! 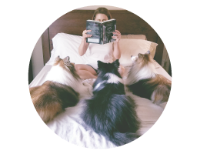 Please welcome author Kaye Thornbrugh to the blog today with a special treat! Instead of blogging about a particular topic, instead I’d like to share a different sort of writing here on For What It’s Worth: a bonus short story from the universe of my YA urban fantasy novel, Flicker. This vignette takes place approximately one year before the events of Flicker. The idea for this story came about at the request of a friend (and reader!) who wanted to see more of the character Alice. If you’ve read Flicker, then this vignette should be extra fun to read. If you haven’t, don’t worry: The story doesn’t contain any major spoilers, though it might whet your appetite for the rest of the book, and you may like to read it again after you’ve finished Flicker. Enjoy! When they arrived at this house half an hour ago—the house of the woman who’d hired them to look into her family’s supernatural trouble—it had immediately become clear what kind of problem she had. Alice had hesitated, but Filo had plowed ahead and asked the family to clear out for a few hours while they worked. And now they were standing in a suburban kitchen, preparing for an exorcism. Even now, Alice could feel the cold, chaotic energy rushing through this house like wind, making her skin crawl. She suppressed a shudder. In their business, Filo and Alice mostly handled problems like evicting pixies from attics and returning runaway gargoyles to their cathedral posts. Werecreatures, shapeshifters and half-breeds hired them to brew potions and craft prepackaged spells. Once, they broke a curse for a vampire. But ghosts were a whole different ball game. It was true: Alice and Filo had the Second Sight, which cut through faerie glamour and other illusions, but ghosts didn’t have to reveal themselves, not even to their eyes. To deal with them, you had to rely on what you could feel. Him.Nasser. That’s who he meant. In the past, Nasser had always taken the lead on ghost jobs; his extreme sensitivity to magical energies made it easy for him. Ghosts didn’t scare him—but Alice feared them because they didn’t always follow the normal rules, and Filo was afraid of anything he couldn’t see, even if he’d never admit it. If Nasser had been with them, they’d have no doubts. But Nasser had been gone for almost a year. They hadn’t accepted a single ghost job since he and Jason had left them. Until now. Gripping the thick piece of chalk harder than before, Alice looked up at Filo. He was examining the blade of his short-handled knife, the one he used in spells and rituals. The blade was inscribed with thin, elegant runes. But when she said it, he flinched a little. For a moment, she abandoned her task and stood, cupping his elbow lightly. Alice sighed, but didn’t argue. It wasn’t worth it. By the time she finished sketching the binding circle on the floor and sprinkling salt around it, Filo had prepared the bucket of salt water and shredded sage, and placed three stubby white candles in the center of the circle. Alice had molded the candles herself; shavings of rowan bark and salt were mixed in with the wax, which was gouged with runes of attraction. Before she could speak, all the cupboards flew open, slamming open and shut with tremendous force, the dishes and glasses rattling maniacally on the shelves. Drawers flung themselves open, cutlery jangling like bells. Goose bumps bloomed all down Alice’s arms as the frenzied energy flowing through the house intensified, a charge in the air that prickled against her skin. —and the room exploded with sound. Alice ducked as a dinner plate shot across the kitchen, through the space where her head had just been, and shattered against the far wall. Mugs launched themselves at Filo, catching him across the shoulders as he hunched over defensively. He tried to stand, but a chair dragged across the tile and slammed into his legs, bowling him over. A plate connected with Alice’s ribs, and she stumbled, gasping. The room was a whirl of crashing plates and slamming cupboards, a tornado of sound. The poltergeist’s energy pulsed beneath it all, insistent as a heartbeat, urging the chaos. Knives and forks leaped from a drawer, hurtling toward Filo as he straightened. With a flare of magic, he flung his right forearm up, baring the protective bracelet he always wore—and the projectiles bounced away from his face with sparks of blue-white light, as if striking an invisible shield. A chill washed over Alice like ice water, and she jerked around. The poltergeist was in this room, its interest piqued, drawn by the magical candlelight like a bug to a lamp. She could feel it in the air, pressing in against her—but there wasn’t enough light. Alice lunged toward the circle. She forced so much magic into her fingertips that she almost incinerated the wick of the last candle—but the bright white flame caught and held, and she scuttled away from the circle as the poltergeist’s cold chaos energy rushed past her, toward the light, into the binding circle. Filo flattened himself against the linoleum, diving under a chair that crashed through the air, and whipped out his knife. He swept the blade across his palm and slapped his hand onto the edge of the circle, releasing a pulse of magic that even Alice felt—and the circle snapped shut like a trap. At once, the kitchen fell still. Every animated object clattered to the floor, but inside the circle, the poltergeist raged, a little storm cloud of energy. Alice could almost see it—the faintest outlines of it, shadows—as it hurled itself against the magical barriers with a sound like distant thunder. But it was sealed with blood and salt and magic. The poltergeist was going nowhere. Rising, Alice flung open the curtains, flooding the kitchen with fierce light. Sunlight disrupted spirits, pulled them apart like loose seams, but the bucket of salt water that Filo pitched into the circle was what finished it. The air sizzled and hissed as the poltergeist dissolved; Alice opened the window and screen door so the excess energy could dissipate into the dry heat outside. Filo burned more sage, fanning the purifying smoke through the room. For a long moment, they stood catching their breath. “I told you it would be fine,” Filo said eventually. He tossed the burned-up ends of the sage leaves unceremoniously into the backyard. A heartbeat passed, and she was sure he wasn’t going to answer. His gaze was fixed on the lawn, green and vibrant, where a sprinkler ticked back and forth, little rainbows arching in its spray. Then he lifted one shoulder in a shrug. “I wanted to know that we could do it,” he admitted. Frowning, he let the screen door fall shut. Alice winced when it slammed against the door frame. Then she swept her gaze around the kitchen once more. Shattered bits of glass and plates glinted on the off-white linoleum. Wooden chairs sprawled in pieces. Granules of salt and powdery chalk slowly dissolved into the water splashed across the floor. Author Bio: As a child, I wanted to be an Egyptologist—but when my fear of ancient Egyptian curses got the better of me, I turned to storytelling instead. An unrepentant nerd, I still play an N64, and I could probably teach a whole class about Pokémon. I worry about the zombie apocalypse every day, I firmly believe that librarians are the noblest people in the world, and I consider Dr Pepper to be the elixir of life. I'm currently a 19-year-old journalism major and author of Flicker. Giveaway Information! Leave a comment and a way to contact you if you win (email/ Twitter handle) The prize is one free digital copy of Flicker via Smashwords coupon and a signed Flicker bookmark (photo included). U.S. only. Giveaway ends Saturday June 8th at 11:59 ET. I will announce the winner June 9th. Flicker sounds so cool! The synopsis seems totally different from the standard Faerie novel. I enjoyed the excerpt. This sounds like an interesting book. This has sparked my interests. It sounds very different from some of the other things out there. It is very well information about on fwiwreviews.net. its a Valiable site for all the people .I always like this website .All people always want to know all about things that you have been described. It is very valuable & very nice posting! 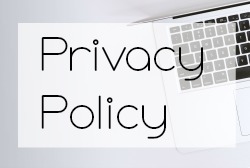 I will bookmark this blog as I have No Pay No Stay Provides Services For Eviction Process, Eviction Service, Houston Eviction Texas, Vacate Notices, File For Eviction, Property Management, Sell Your Property And More.